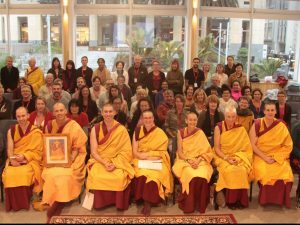 In May 2019, Gen Kelsang Rabten, the National Spiritual Director of New Zealand, Australia and South East Asia, will visit Auckland to give teachings on the power of the mind and to grant the blessing empowerment of Wisdom Buddha Manjushri, the embodiment of the wisdom of all enlightened beings. All our pleasant, unpleasant and neutral experiences are created by our mind. If we do not understand this, we have no ability to truly discriminate the causes of happiness from the causes of suffering, and as a result we become dissatisfied, unfulfilled, and remain trapped in samsara. 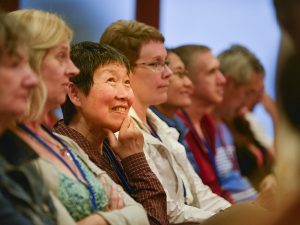 By connecting to the wisdom blessings of Manjushri and harnessing the power of our mind in a meaningful way, however, we can start to create a life of true happiness and satisfaction. Eventually, by gaining mastery over our mind, we will be able to shape our reality using blissful wisdom. We will forge an inner pathway out of suffering for ourself, have the power to liberate others, and abide in the endless joy of our own enlightened mind.